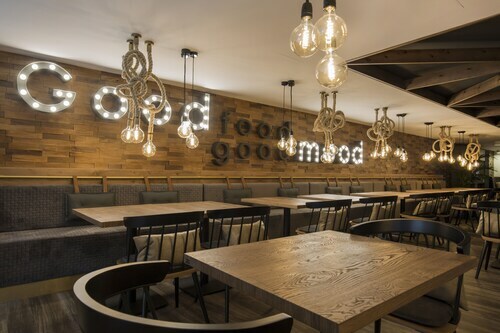 Located in the centre of Andorra la Vella, this family-friendly hotel is within a 10-minute walk of Placa del Poble and Pyrenees Andorra Shopping Centre. Caldea Spa is 1.2 mi (2 km) away. Situated in Escaldes-Engordany, this hotel is within 1 mi (2 km) of Perfume Museum, Caldea Spa, and Pyrenees Andorra Shopping Centre. Saint Andrew Church and Placa del Poble are also within 1 mile (2 km). 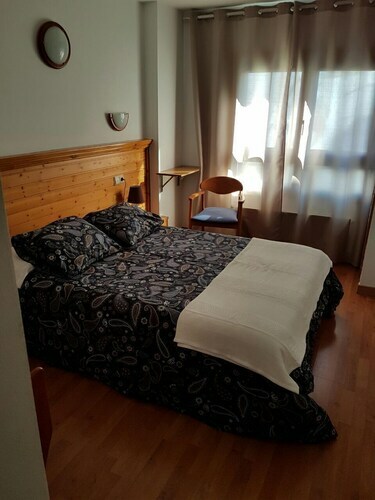 Situated in Andorra la Vella, this hotel is within a 10-minute walk of Casa de la Vall and Pyrenees Andorra Shopping Centre. Caldea Spa is 1.3 mi (2.1 km) away. 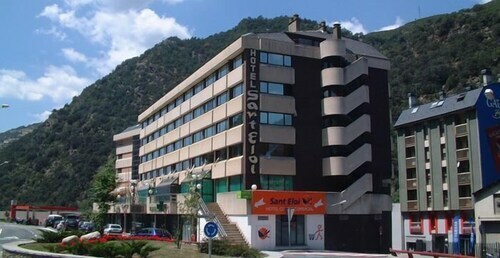 Located near the slopes, this Andorra la Vella hotel is in the city centre, within a 15-minute walk of Casa de la Vall and Caldea Spa, and close to winter sports, such as cross-country skiing and skiing lessons. 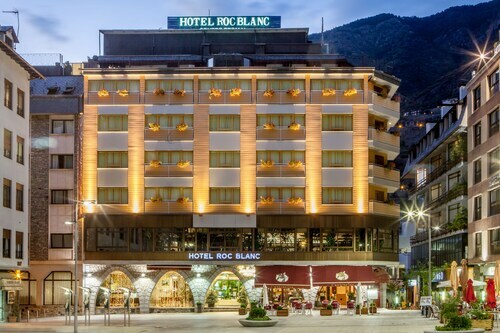 Located in the heart of Andorra la Vella, this hotel is within 1 mile (2 km) of Placa del Poble, Pyrenees Andorra Shopping Centre and Caldea Spa. Casa de la Vall and Saint Andrew Church are also within 10 minutes. 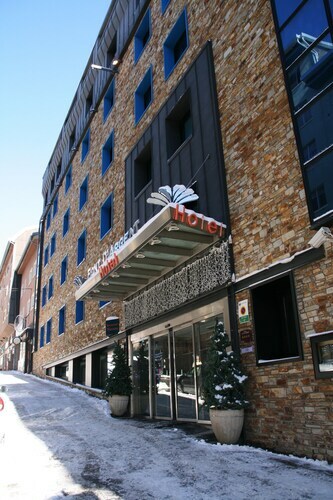 Located near the slopes, this Andorra la Vella hotel is situated on a river, within a 10-minute walk of Placa del Poble and Pyrenees Andorra Shopping Centre, and is convenient for winter sports, such as cross-country skiing and skiing lessons. Caldea Spa is 0.9 mi (1.4 km) away. 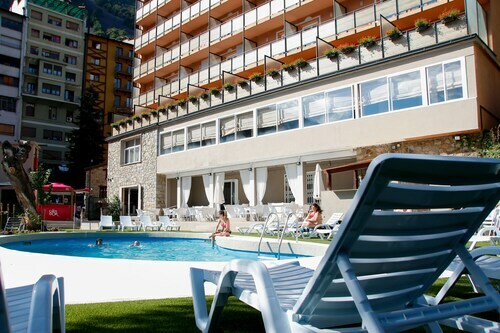 Situated near the boardwalk, this hotel is within 1 mile (2 km) of Casa de la Vall, Pyrenees Andorra Shopping Centre and Caldea Spa. Placa del Poble and Saint Andrew Church are also within 15 minutes. 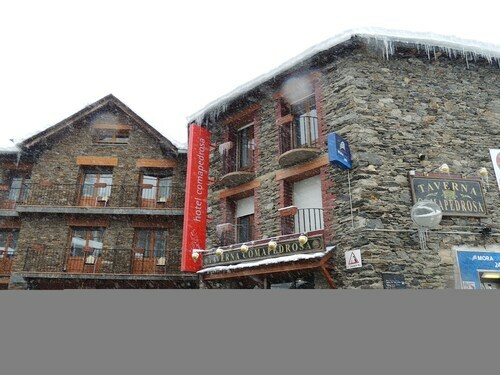 Located near the slopes, this Arinsal hotel is in the mountains and within 6 mi (10 km) of Coma Pedrosa, Pyrenees Andorra Shopping Centre, and Pal-Arinsal Ski Resort. Caldea Spa and Casa de Areny Plandolit are also within 6 miles (10 km). 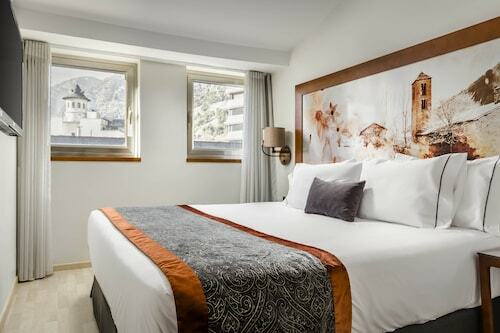 Conveniently located near the ski slopes, this Andorra la Vella hotel is within a 15-minute walk of Perfume Museum, Caldea Spa and Pyrenees Andorra Shopping Centre. Saint Andrew Church and Placa del Poble are also within 1 mile (2 km). 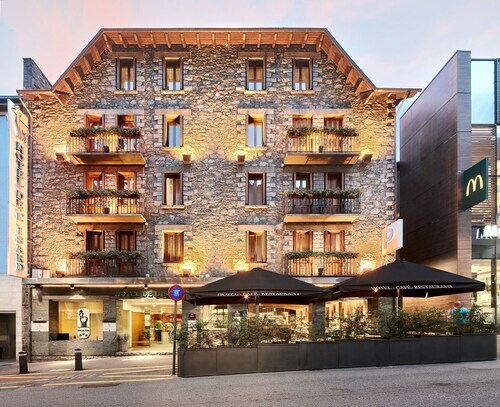 Located near the slopes, this Andorra la Vella hotel is situated in the mountains and within 1 mile (2 km) of Placa del Poble, Pyrenees Andorra Shopping Centre and Caldea Spa. Casa de la Vall and Saint Andrew Church are also within 15 minutes. Situated in Escaldes-Engordany, this luxury hotel is within a 10-minute walk of Perfume Museum and Caldea Spa. Pyrenees Andorra Shopping Centre is 0.7 mi (1.1 km) away. 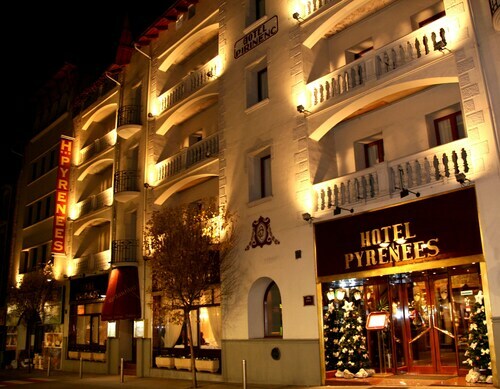 Located near the slopes, this Andorra la Vella hotel is situated in the city centre and within 1 mile (2 km) of Placa del Poble, Pyrenees Andorra Shopping Centre and Caldea Spa. Casa de la Vall and Saint Andrew Church are also within 10 minutes. 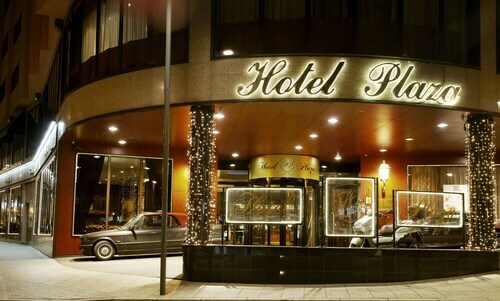 We offer you a straightforward way to look through a listing of hotels so you can find one well-suited to you. Our site quickly comes up with the top-ranked hotels in the area providing you with an assortment of preferences to pick between. It's easy to filter down search results using the different tools we offer on our site. One convenient part of our site is our map, which provides you with an easy way to pinpoint a particular area for your time in Andorra (all). You can modify the filters to sort by area and popular location to identify accommodation close to the region's local attractions. If you want a place to stay at a bargain price, you can filter by price per night to pick a hotel that keeps you within budget. 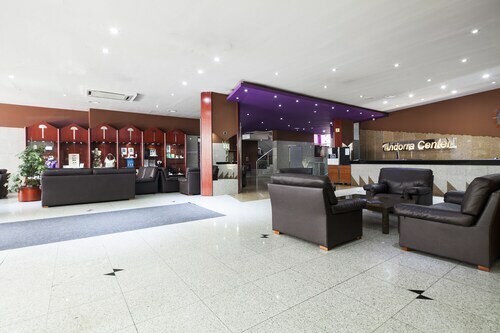 If you'd like specific facilities and services like a pet-friendly room or luxury toiletries, you may choose to adjust your search to get everything you need to ensure a relaxing stay in Andorra (all). We are able to help you create a plan to get to your destination now that you've booked your Andorra (all) hotel. You'll find countless choices for flight and hired car transport on our site. You can narrow down flights by total number of stops, airline, or departure time to find one that works best for your schedule. You may also want to think about how you'll get around after arriving in Andorra (all). You might think about having a hired car available when you arrive by looking through our car hire deals. You might want to explore all that Andorra (all) has to offer by taking in some of the top tourist activities while you're there. Reserving a hired car can make getting out and about convenient so you can experience all that Andorra (all) is known for. It's easy to arrange all your travel plans when you book on our site. Finding interesting ways to see the city is all you need to focus on now that you've booked your hotel and transportation with us. From helicopter rides to dinner cruises, you can peruse our site for Things to Do. You'll be sure to find activities that are perfect for kids and adults alike when browsing our site for tours in Andorra (all). We make it even simpler to narrow down the tours you want to go on, just browse our website to see what other travelers thought of your top picks. By booking through us, you can also earn rewards so you'll be able to make the most of your budget. The last thing on your list now is pack your things and get on the road to enjoy your holiday. 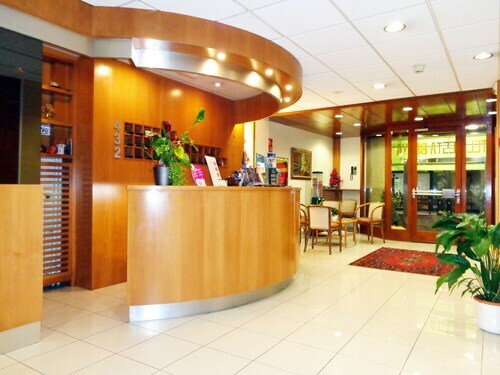 Staff were friendly and helpful and the room clean and comfortable and very good value. However the WiFi can only be described as diabolical. I had much more reliable WiFi in Afghanistan 5 years ago. Not acceptable in the 21st Century. Worked in the lobby but not in the room on the 4th floor. 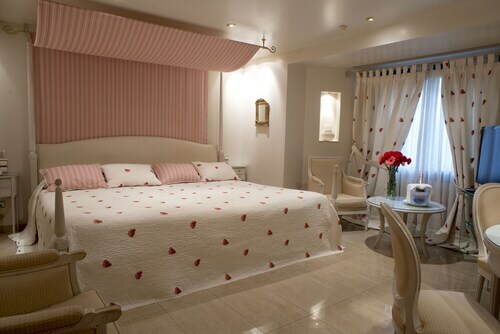 It was very very central which was our main concern and hotel merino definitely delivered! The locker space for our skis was excellent and very close to our room. Fresh towels every morning and breakfast was standard enough! Chambre propre et spacieuse. lhotel est bien situé. chambre identique a celle sur le net, spacieuse agréable restaurant situé au deuxième cadre agréable, accueil restaurant désagréable mais les serveurs au TOP nourriture bonne ne cherchez pas l'excellence, petit déjeuner quant à lui excellent, grand choix et de très bon gout. Difficile de trouver le parking de l'hôtel. et le prix du parking en plus de la chambre. 20.00 euros. je le recommande, je sais que j'y retournerais. 3.0 Un peu loin du centre, mais pas trop. Dommage pour la chambre car au prix de 48€ on m’a donné une chambre sur l’arrière sans fenêtre. Étouffant et préciser que c’est sans petit déjeuner. +6€ Il y a un parking pour 12€ là journée mais il faut le savoir avant car impossible de décharger ses bagages devant l’hôtel. Sinon couchage impeccable.